Poisoned faces of empty venom. Wild, like a young volcano. Can't stop, won't stop, don't stop. Exotic, feel a little beautiful baby. There is no fear now, let go and just be free, unconditionally. You can make a sinner change his ways, I can't wait to see the light...right there is where I wanna stay. A girl who has music to keep her company. A girl who dyed her hair purple and got a nose ring because of her ex boyfriend. A girl who wears holes and rips in her jeans. A girl who cries most nights thinking of who she is. 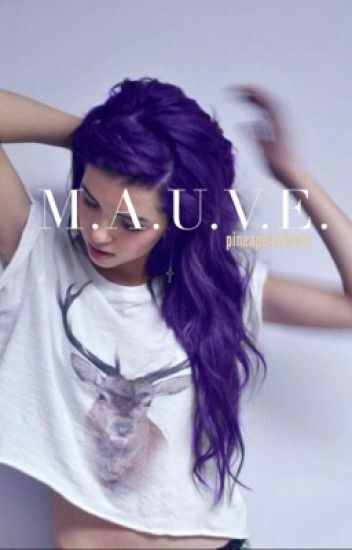 She is M.A.U.V.E.